The previous part provided an overview of Laos’ most important regional relations and described the key infrastructural projects it’s partaking in to boost its pivot credentials. In this concluding article, China’s specific containment-breaking strategies as related to Laos are elaborated upon and contrasted with the US’ countermoves in blocking Beijing. The crux of China’s grand strategy is to use Laos and its infrastructural advantages to enact and solidify a geopolitical reorientation in both Thailand and Cambodia, the former from the US and the latter from Vietnam. The end objective foresees China using its geopivotal position in Laos to exert equal influence on Thailand, Cambodia, and Vietnam in its struggle to wiggle out of the US’ tightening containment noose. Thailand’s ultimate geostrategic purpose in China’s eyes is to become the ‘New Myanmar’, in that it can be a transport, logistics, and infrastructure hub for Beijing’s regional vision and a critical outlet to the southern seas. Earlier it was mentioned that Myanmar had been moving closer to the West, and it needs to be underlined at this point that its reorientation was at the expense of strategic projects with China such as the Bay of Bengal railroad. Although an alternate project was later approved, this doesn’t change the fact that it, too, could one day be canceled or used as eventual blackmail against China in the same way that Ukraine’s infrastructure has lately been used against Russia. What China needs is a replacement ally that satisfies the former stability and political trust that Myanmar once enshrined, and the perfect opportunity has presented itself with Thailand. Tony Cartalucci has masterfully written many analytical articles on Thailand and its geo-significance to regional and global affairs, and the reader is highly recommended to peruse his writings for in-depth background information on the topic, but in short, the military there recently removed a pro-Western proxy and has since then been cultivating closer relations with China. This development could potentially represent a shattering reversal of the US’ Pivot to Asia strategy, but it must be emphasized that the new government’s hold is not yet fully secure, and the ousted authorities and their supporters may resort to a terrorist struggle and continued destabilization in order to undermine events. This makes China’s ASEAN Silk Road all the more important for Thailand, since the economic benefit that it would sow along its path could do much to strengthen the populace’s support for the revolutionary government and diminish whatever remaining legitimate resistance there may be to its rule. 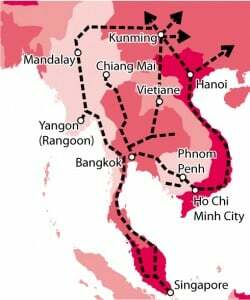 Ideally, China would like for a pragmatic and possibly allied government in Thailand to become the transport hub of Indochina, thereby giving Beijing associated reach throughout the region. The railroad plans are simply a means towards reaching these ends, and the larger idea is to deepen Chinese-Thai infrastructural and economic integration to the point where even a reversal of relations by an anti-Chinese government in Bangkok would not preclude cutting off these links. If the ASEAN Silk Roads, especially the main conduit through Laos, can become so important to Thailand’s economy that ties with China cannot be realistically endangered without catastrophic consequences, then Beijing would have achieved one of its most pressing geostrategic objectives, which is the creation of an anchor in ASEAN that abuts the dually strategic coasts of the Andaman Sea and the Gulf of Thailand (fringes of the larger Indian Ocean and South China Sea, respectively). While it’s not foreseen that Thailand would ever host covert Chinese naval bases like it’s Myanmar is falsely accused of doing, the Southeast Asian state could still provide Beijing with a strategic naval foothold by helping it avoid the Malacca Strait chokehold through integrated port-rail infrastructure along the ASEAN Silk Road or even a Nicaraguan-styled canal across the Isthmus of Kra. If these plans come to fruition, then Thailand wouldn’t just become the ‘new Myanmar’, but it would actually acquire a positive significance for China far beyond what Myanmar ever could have given it. The second state that China hopes to flip is Cambodia, and it plans to utilize a good cop/bad cop dynamic to help make it happen. China doesn’t necessarily have any issues with Cambodia nowadays (although the legacy of its support for the Khmer Rouge is obviously a sore sticking point), but the fact remains that Prime Minister Hun Sen still behaves like a Vietnamese client, most likely due to him owing his entire political career to his gigantic eastern neighbor. This relationship of client to caretaker still persists despite enormous amounts of Chinese aid, although it’s evident that China is now giving Vietnam a run for its money in possibly usurping this role. Should it be successful in doing so, not only would Beijing stand to gain yet another ASEAN ally to add to its growing list (which would make a total of three when one includes Laos and Thailand, and potentially four if Myanmar can be convinced to stay within its sway), but it would also allow it to pressure Vietnam even further, since Hanoi would have then lost its two former Indochinese satellites. By this manner, the strategy of ‘stealing allies’ from Vietnam represents China’s asymmetrical counter to Hanoi’s boisterousness in the South China Sea, and it gives Hanoi a ‘taste of its own medicine’ by reversing the flow of pressure and putting it on the strategic defensive. 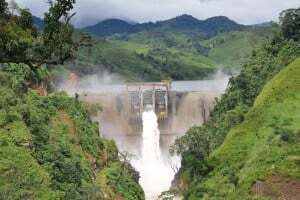 China’s ‘good cop’ mechanisms are manifested through its aid flows and investment, while its ‘bad cop’ ploy can be carried out through proxy via Laos’ hydroelectric projects. If China can secure a commanding influence in Cambodia’s northern neighbor, then it can indirectly use the dam issue to its advantage in squeezing Cambodia towards accommodating whatever future interests it has in mind. Complementing this ‘bad cop’ approach is yet another ‘good cop’ front that can be played this time by Thailand, which would be coordinating its activities with China in the event of a full-fledged Sino-Thai Strategic Partnership, an earlier-mentioned goal of Beijing’s. 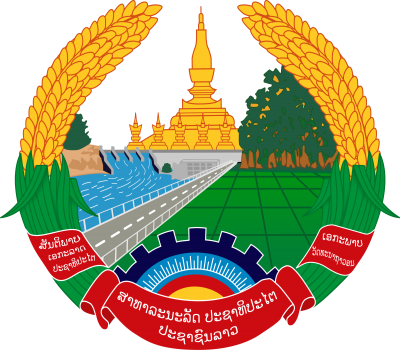 This would see Thailand working to woo Cambodia (which was previously under its influence prior to becoming a French protectorate in 1863) through their deepening bilateral economic links via the eastern vector of China’s ASEAN Silk Road and the Southern Economic Corridor (which links Dawei in southeastern Myanmar to Ho Chi Minh City in southern Vietnam via Cambodia and Thailand). Lao PDR, Nam Ngum 5 Hydropower Project. Using its tried and tested tactics, the US could inspire the external chaos in Myanmar to migrate over to Laos, which would in that case stop the central route of the ASEAN Silk Road dead in its tracks. Ethnic warfare has been occurring on and off for the past 60 years in Myanmar, and although 16 rebel groups are set to sign their first multilateral ceasefire with the government sometime soon, it’s not a guarantee that their problems will dissipate and stability will be restored in all corners of the country. One should keep in mind the seemingly spontaneous nature of the latest outbreak of violence in Kokang, as it shows that a serious crisis can materialize in Myanmar unexpectedly at any moment due to the fragile balance of power there between various groups and the military. In order for the violence to spill over into Laos, the Myanmar military would have to go on the advance deep into Shan State, which could in turn lead to the hodgepodge of rebel groups there retreating into Laos and using the country’s territory as a rear base for regaining their land on the other side of the Mekong. While this forecast doesn’t appear all too likely at the moment, it’s telling that Myanmar and Laos both pledged to step up their security cooperation last month, in what may be a sign that both countries understand their vulnerability to this dire scenario. But chaos doesn’t only have external origins, as it can also take form within the target state as well. In this case, the US and its allies could foster a Color Revolution or related domestic destabilization in an attempt to overthrow the current government or initiate an unconventional war along the Myanmar model. After all, Laos may contain as many as 249 ethnic groups within its tiny borders, and ethnic Lao only comprise 55% of the population. In fact, the ethnic situation is so complicated inside Laos that the authorities have attempted to simplify them into a few geographic and linguistic groups in an effort to better manage them. The degree of ethnic cooperation or tension is unascertainable from afar seeing as how any news about Laos, let alone that which is verifiably accurate, is extraordinarily difficult to procure without being physically present in the country and its various provinces for an extended period of time. Thus, it’s challenging to gauge the viability of this scenario, but if the West’s destabilization template is any indication, then the presence of large amounts of (foreign) NGOs could possibly lay the long-term groundwork for provoking inter-communal, inter-ethnic, and anti-government discord, although Vientiane appears to have already anticipated this scenario and is preventively enacting strict controls on their activity. 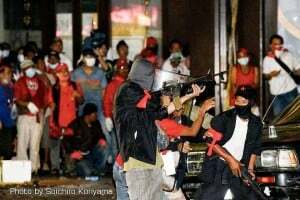 Thaksin Shinawatra deployed some 300 heavily armed terrorists in Bangkok in 2010 triggering bloodshed that would claim nearly 100 lives and leave the city in flames after a final day of serial arson was carried out by his political supporters. The second booby-trap that the West plans to set for China would be to revert Thailand’s government to its previous pro-Western loyalties, either by means of a Color Revolution or some other underhanded measure, in order to take over China’s ‘transport hub’ and control the flow of products along its various ASEAN Silk Road lines. Additionally, an anti-Chinese Thai administration could then follow Western guidance and use its cultural and civilizational ties with Laos to influence Vientiane to pull away from China, possibly even applying its newfound economic links with its smaller neighbor as a form of asymmetrical blackmail. If Laos drops its high-speed rail project with China in the same fashion as Myanmar did, then it would represent a double-whammy for Beijing’s hopes of breaking through the US’ Asia Pivot containment. Under the scenario of a ‘Bangkok back step’ in relations to China, Laos could be tempted to pivot away from Beijing if Thailand and Japan (which just signed a strategic partnership with Laos last month) join forces to offer multilateral investment and infrastructural projects to replace the lost Chinese ones, with a prime example being a heightened emphasis on developing Laos’ position along a Myanmar-Vietnam counter-Silk Road. Another possibility that could develop would be an intensification of the West’s regime change efforts against Thailand, with a specific aggravation of the situation in Thailand’s northeast region of Isaan. Abutting the Lao border and encompassing a sizeable chunk of the country, Isaan is pivotal to the country’s stability (or lack thereof), and it’s essential that any ruling government in Bangkok have the area under its control. ‘Activists’ in the region had previously organized against the country’s martial law before it was recently repealed and voiced their opposed to the authorities, signaling that the region could potentially be activated for further destabilization sometime in the future. Other than Isaan, there’s also the threat that the South Thailand conflict could be reignited with direct or implicit American support to both apply pressure against the government and prevent the ASEAN Silk Road from reaching Malaysia and Singapore. As a dual benefit, a renewed insurgency would also pose a risk to Malaysia’s stability as well, and an outbreak of violence in the Thai border region could complement the Color Revolution pressure on Kuala Lumpur to remain compliant to Washington’s regional agenda and walk back its increasing ties with China. China’s overall goal is to flip Thailand and Cambodia over to its interests and away from their previous patrons, using its general influence in Laos via the two types of ongoing infrastructure projects there to exert continued influence upon Bangkok and Phnom Penh to keep them within its strategic sphere. The combined effect of simultaneously courting Laos, Thailand, and Cambodia is to asymmetrically weaken Vietnam’s position in continental ASEAN, since any Chinese gains in Laos and Cambodia would represent relative losses for Vietnam. Laos is the fulcrum in projecting Chinese influence throughout the region because it’s used both to push a positive and cooperative agenda with Thailand, while also presenting a potential asymmetrical risk to Cambodia’s socioeconomic security if it ever contravenes Beijing’s forecasted vision and turns its back to ‘Yuan diplomacy’. The US will obviously be trying to stop China’s parallel grand strategies of an ASEAN Silk Road, a Sino-Thai Strategic Partnership, and Mekong hydroelectric regional leverage every step of the way, but Washington has met a formidable match in going up against a civilization that has over 5,000 years of diplomatic and strategic experience. Accordingly, in order for Beijing to succeed in its epic containment-shattering strategy, it must make securing and deepening its position in Laos its highest priority in continental ASEAN in order to turn the tiny pivot state into the geostrategic staging ground of multipolar power projection that it’s intended to be.